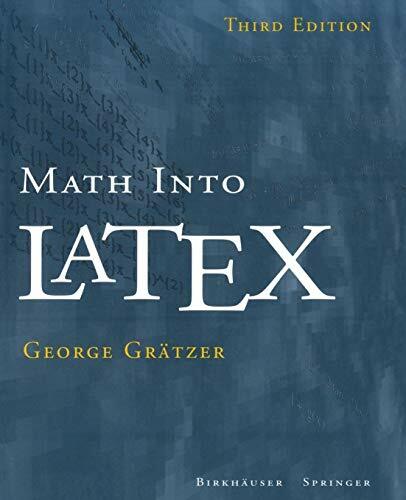 9783764352394 | Birkhauser, September 1, 1998, cover price $99.00 | About this edition: "GrÃ¤tzerâs 'General Lattice Theory' has become the lattice theoristâs bible. 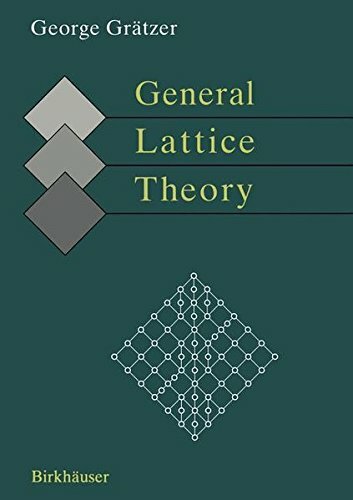 9783764369965 | 2 edition (Birkhauser, January 1, 2003), cover price $109.00 | About this edition: "GrÃ¤tzerâs 'General Lattice Theory' has become the lattice theoristâs bible. 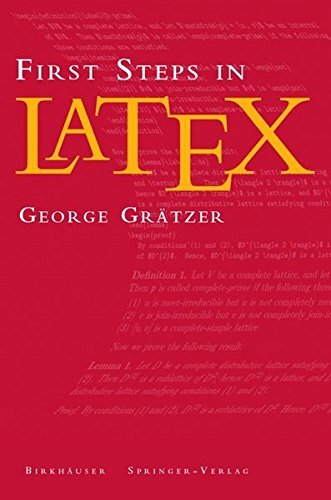 9780817641320 | Birkhauser, July 1, 1999, cover price $89.99 | About this edition: Are you in a hurry? 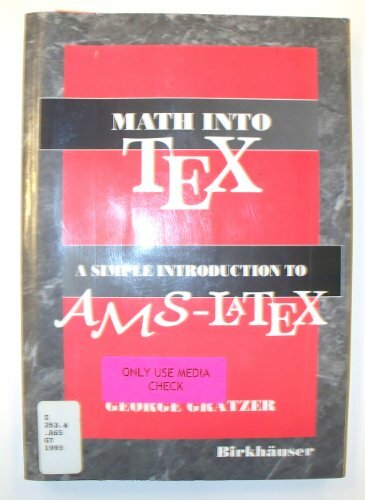 9780817636371 | Pap/dskt edition (Birkhauser, August 1, 1993), cover price $42.50 | About this edition: Provides the beginner with a simple and direct approach to typesetting mathematics with AMS-LATeX. 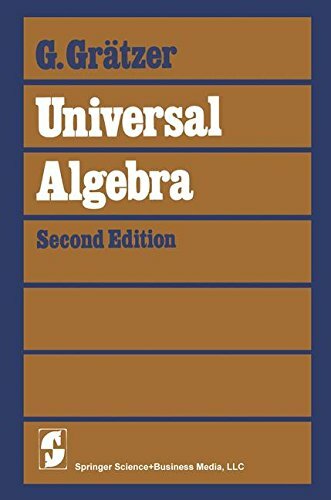 9780387903552 | 2 edition (Springer Verlag, June 1, 1979), cover price $99.00 | About this edition: Universal Algebra has become the most authoritative, consistently relied on text inÂ a field with applications in other branches of algebra and other fields such as combinatorics, geometry, and computer science.